Two additional shows this Thursday at 9:30 and Friday at 10pm! "The writing in the show is sharp, satirical, and often incisive, providing both laughs and food for thought." 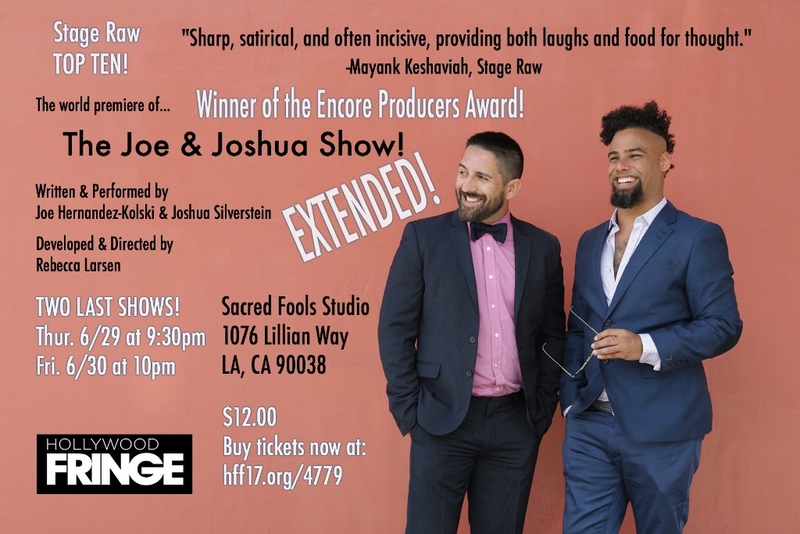 "In case you didn't realize it, this year at Fringe, you have the opportunity to watch a polished but still spontaneous live HBO comedy special disguised as a late-night 2 man show." "These two performers are the real deal. Not sure if you're the type to close your eyes in a fringe show but with this one you won't. They are surprising, hilarious, and SMART and I am definitely a fan of these fellas." p.s. Here's a little sample for those unable to attend the show. We performed last week at Da Poetry Lounge! 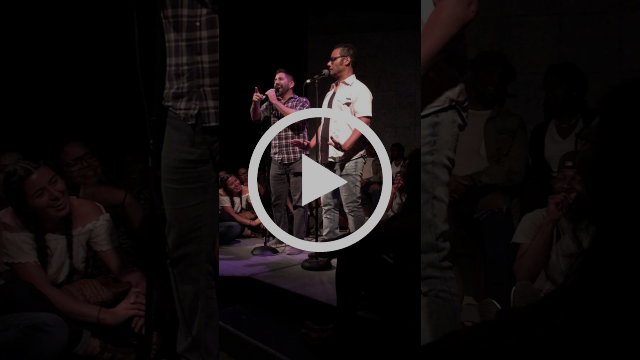 Joe & Joshua perform "Actors Named Chris" at Da Poetry Lounge! Newer PostWanna see me dance with an Olympic gold medalist?? Older PostWe're voted Stage Raw TOP TEN!